Welcome. 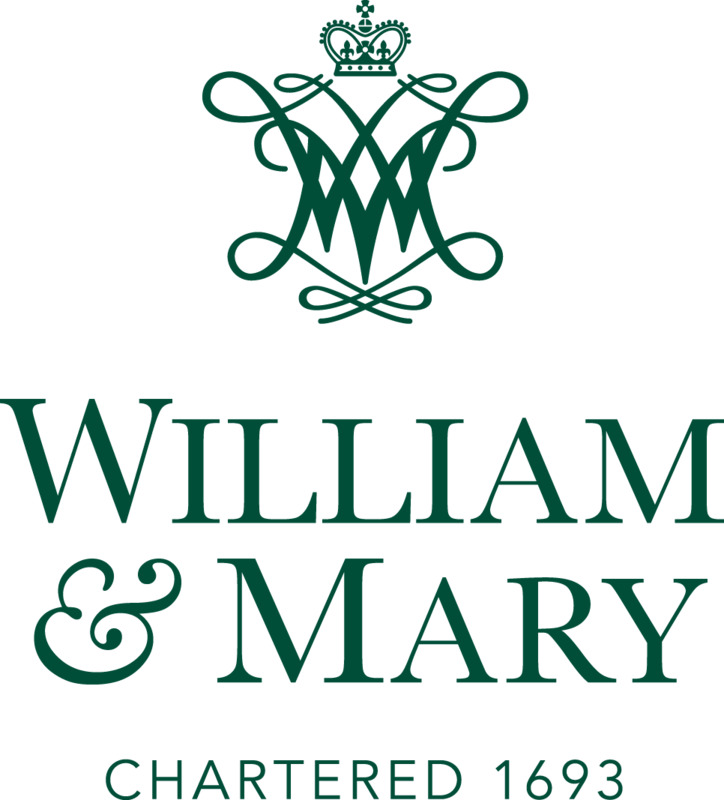 My home base here at William & Mary is in the Department of Government, and I'm also a faculty affiliate with the W&M Public Policy Program. I'm interested in American politics, public policy, federalism, bureaucracy, and applied research methods. My work focuses primarily on education policy and politics. Here's my vita and a link to my Google Scholar page. You also can find an abbreviated summary of my work at my Scholars Strategy Network page. Attention baseball fans: Be sure to take a few swings at Presidential Baseball. For current and former students: Need a recommendation letter? Statement on events in Charlottesville, Virginia, August 2017. Kenneth Janda, Jeffrey M. Berry, Jerry Goldman, Deborah Schildkraut, and Paul Manna. 2018. 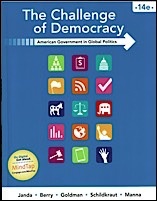 The Challenge of Democracy: American Government in Global Politics, 14e. Boston: Cengage Learning. Paul Manna and Patrick McGuinn. eds. 2013. 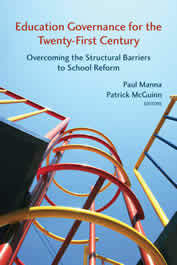 Education Governance for the Twenty-First Century: Overcoming the Structural Barriers to School Reform. Washington, DC: Brookings Institution, in partnership with the Thomas B. Fordham Institute and the Center for American Progress. Video of the book release event at the Center for American Progress on March 22, 2013. December 1, 2011 conference discussion of draft chapters. Session 1: Challenges. Session 2: Traditional Institutions in Flux. Session 3: Alternative Approaches. Session 4: The Way Forward. Paul Manna. 2011. Collision Course: Federal Education Policy Meets State and Local Realities. Washington, DC: CQ Press. Video interview of me discussing the book as a College of William & Mary Book of the Month. Paul Manna. 2006. School's In: Federalism and the National Education Agenda. Washington, DC: Georgetown University Press. Elizabeth Pelletier and Paul Manna. 2017. Learning in harm's way: Neighborhood violence, inequality, and American Schools. Annals of the American Academy of Political and Social Science 674(1: 217-239. Paul Manna. 2015. Developing excellent school principals to advance teaching and learning: Considerations for state policy. New York: The Wallace Foundation. Video from the November 2015 briefing on the report in Washington, DC is here. Paul Manna. 2014. Education policy. In Donald P. Haider-Markel (ed.) Oxford Handbook of State and Local Government. New York: Oxford University Press. I blogged about the artcle's results here: "The centralization of education governance has mixed results for student achievement across U.S. states." London School of Economics and Political Science USAPP blog, February 25, 2014. A summary of the results was published as a Scholars Strategy Network key findings brief in December 2013: Can New Forms of Governance Improve America's Schools? Paul Manna. 2013. The No Child Left Behind Act and educational accountability in the United States. In Peter Graefe, Julie Simmons, and Linda White (eds.) Overpromising and Underperforming? Understanding and Evaluating New Intergovernmental Accountability Regimes. Toronto: University of Toronto Press. Paul Manna and Timothy Harwood. 2011. Governance and educational expectations in the U.S. states. State Politics & Policy Quarterly 11(4): 483-509. Paul Manna and Laura L. Ryan. 2011. Competitive grants and educational federalism: President Obama's Race to the Top program in theory and practice. Publius: The Journal of Federalism 41(3): 522-546. On-line appendix. Reprinted in Federalism and Education Policy. Publius: The Journal of Federalism Virtual Issue. January 2012. Paul Manna. 2011. Education: Federal government programs and issues. Oxford Bibliographies [On-line]. New York: Oxford University Press. Paul Manna. 2008. Federal aid to education: Premises, effects, and major lessons learned. Paper for the Center on Education Policy for its project on Rethinking the Federal Role in Elementary and Secondary Education. November. The paper has an accompanying source appendix, annotating the studies that were reviewed. An abridged version was published as: Paul Manna. 2009. Strong federal policies benefit local districts. Phi Delta Kappan 90(8): 568-571. John J. Coleman and Paul Manna. 2007. Above the fray? The use of party system references in presidential rhetoric. Presidential Studies Quarterly 37(3): 399-426. Arnold F. Shober, Paul Manna, and John F. Witte. 2006. Flexibility meets accountability: State charter school laws and their influence on the formation of charter schools in the United States. Policy Studies Journal 34(4): 563-587. Paul Manna. 2006. Control, persuasion, and educational accountability: Implementing the No Child Left Behind Act. Educational Policy 20(3): 471-494. Sally Roever and Paul Manna. 2005. Could you explain my grade? The administrative and pedagogical virtues of grading sheets. PS: Political Science and Politics 39(2): 317-320. Paul F. Manna. 2002. The signals parents send when they choose their children's schools. Educational Policy 16(3): 425-447. John J. Coleman and Paul F. Manna. 2000. Congressional campaign spending and the quality of democracy. Journal of Politics 62(3): 757-789. Paul F. Manna. 2000. How do I know what I say I know? Thinking about Slim's Table and qualitative research design. Endarch: Journal of Black Political Research, Spring: 19-29. Paul Manna and Elizabeth Pelletier. 2016. Urban schools and school district governance. In Christine Kelleher Palus and Richardson Dilworth, eds., CQ Press Guide to Urban Politics and Policy in the United States. Thousand Oaks, CA: CQ Press. Paul Manna. 2012. State education governance and policy: Dynamic challenges, diverse approaches, and new frontiers. Peabody Journal of Education 85(5): 627-643. Paul Manna and Jennifer Wallner. 2011. Steppingstones to success or a bridge too far? The federal role in educational accountability. In Frederick M. Hess and Andrew P. Kelly (eds. ), Carrots, Sticks, and the Bully Pulpit: Lessons from a Half-Century of Federal Efforts to Improve America's Schools. Cambridge, MA: Harvard Education Press. Paul Manna. 2008. Introduction: The education data landscape. In Marci Kanstoroom and Eric Osberg (eds. ), A Byte at the Apple: Rethinking Education Data for the Post-NCLB Era. Washington, DC: Thomas B. Fordham Institute. Paul Manna and Michael J. Petrilli. 2008. Double standard? "Scientifically based reasearch" and the No Child Left Behind Act. In Frederick M. Hess (ed.) When Research Matters: How Scholarship Influences Education Policy. Cambridge, MA: Harvard Education Press. Paul Manna. 2007. NCLB in the states: Fragmented governance, uneven implementation. In Frederick M. Hess and Chester E. Finn, Jr. (eds.) No Remedy Left Behind: Lessons from a Half-Decade of NCLB. Washington, DC: AEI Press. Paul Manna. 2006. Teachers unions and No Child Left Behind. In Jane Hannaway and Andrew J. Rotherham (eds) Collective Bargaining in Education: Negotiating Change in Today's Schools. Cambridge, MA: Harvard Education Press. Paul Manna. 2004. Leaving no child behind. In Christopher T. Cross, Political Education: National Policy Comes of Age. New York: Teachers College Press. Paul Manna. 2002. Issue Briefs on "Education" and "Economy, budget, and taxes." In The Reporter's Source Book: 2002 Election Edition. Philipsburg, MT: Project Vote Smart. Paul Manna. 2011-2012. Review of Michael Berkman and Eric Plutzer, Evolution, Creationism, and the Battle to Control America's Classrooms (Cambridge University Press, 2010). The American Review of Politics 32 (Winter): 360-362. Paul Manna. 2007. The Great Society in education: A persistent national consensus? Review of Gareth Davies, See Government Grow: Education Politics from Johnson to Reagan (University Press of Kansas, 2007). The Forum 5(3): on-line. Paul Manna. 2007. Review of The Era of Education: The Presidents and the Schools 1965-2001, by Lawrence J. McAndrews (University of Illinois Press, 2006). Presidential Studies Quarterly 37(2): 372-373. Paul Manna. 2007. Review of No Child Left Behind and the Transformation of Federal Education Policy, 1965-2001, by Patrick J. McGuinn (University Press of Kansas, 2006). Political Science Quarterly 122(1): 176-177. Paul Manna. 2006. Review of Government Matters: Welfare Reform in Wisconsin, by Lawrence Mead (Princeton University Press, 2004). Governance 19(4): 682-684. Paul Manna, Jack Cooper, and Elizabeth Pelletier. 2014. Financing K-12 education in Virginia. Virginia Issues and Answers. Fall. Also available on-line. Paul Manna and Susan Moffitt. 2014. New education advocacy organizations in the U.S. states: National snapshot and a case study of Advance Illinois. New York: The Wallace Foundation. I presented the research at the Roosevelt House Public Policy Institute at Hunter College on May 20, 2014. Video of the discussion is here and here. Paul Manna and Keenan Kelley. 2012. Redefining the federal role in education: Advice for the winner of next week's election. Education Week. October 31. Paul Manna, Keenan Kelley, and Frederick M. Hess. 2012. Implementing Indiana's "Putting Students First" agenda: Early lessons and potential futures. Washington, DC: American Enterprise Institute. Paul Manna. 2010. The three Rs of Obama's Race to the Top Program: Reform, reward, and resistance. America's Quarterly. Fall. 112-117. Paul Manna. 2010. Competitive Grant Making and Education Reform: Assessing Race to the Top's Current Impact and Future Prospects, Education Stimulus Watch Special Report No. 5. Washington, DC: American Enterprise Institute. October. Paul Manna. 2010. Networked governance in three policy areas with implications for the Common Core State Standards Initiative. Paper for the Thomas B. Fordham Institute for its project on Common Standards: Tackling the Long-Term Questions. June. See also my responses to specific questions from Fordham about Common Core governance. Paul Manna. 2010. Guest-blogger on Education Week's Rick Hess Straight Up blog. June 21, "Teacher Voice and Race to the Top"; June 23, "States to the Races"; and June 25, "Time Warp on Teacher Evaluation." Paul Manna. 2007. Starting Fresh in Low-Performing Schools: Empowering Teachers. Chicago: National Association of Charter School Authorizers. Paul Manna and Teresa Gorbett. 2005. We are all accounable. Virginia Gazette. October 5, 20A. Paul Manna. 2005. States set school standards. Virginia Gazette. July 9, 18A. Paul Manna. 2003. Student strike or activism lite? Badger Herald. March 3, 6. Paul Manna. 2002. Charities not limitless. Capital Times. March 11, 6A. John J. Coleman and Paul F. Manna. 1999. Study shows campaign spending is a silver lining in the fund-raising cloud. Wisconsin State Journal. October 31, p. 3B. Short paper from a graduate public management class. Assignment. Grading sheet. Short paper from an undergraduate public policy class. Assignment. Grading sheet.Midterm exam from an undergraduate public administration class. Exam. Grading sheet. Short case assignment from an undergraduate public administration class. Case assignment. Grading sheet. Midterm exam from an undergraduate introduction to comparative politics class. Grading sheet.Short paper from an undergraduate introduction to comparative politics class. Assignment. Grading sheet. Literature review from an undergraduate seminar on comparative politics. Assignment. Grading sheet.